Love modular soft and multi functional sofas? 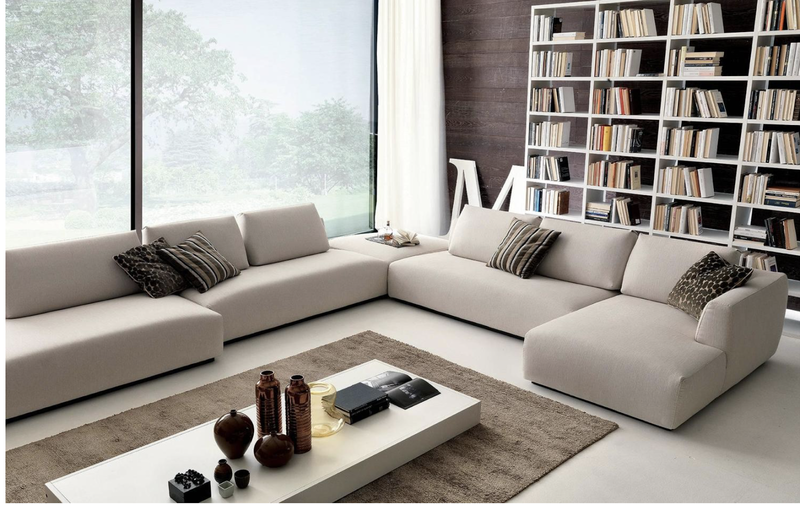 This amazing Italian made modern design sofa is available with multiple elements options to create personalized sectional sofa compositions. The largest #sofa #compositionfeatures 5 separate elements to be positioned freely, used separately or together. 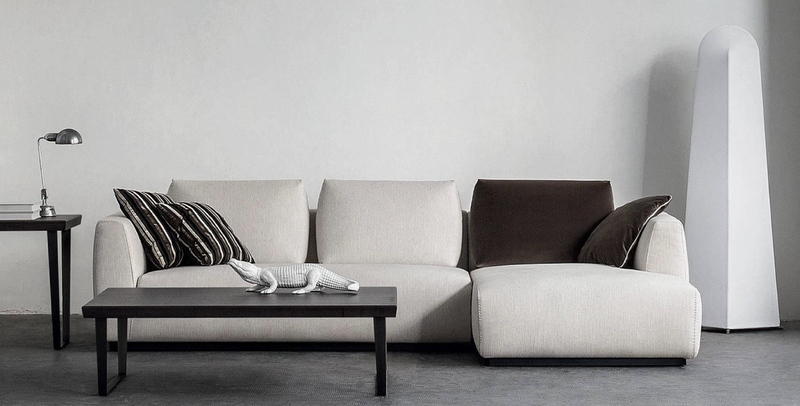 This Italian design furniture collection is anything you need for your living room. Single elements which are combined to create a dynamic seating area. This Italian #Design #sectional #sofa is composed by five pieces: a chaise, two central elements, an ottoman and an end element with open section all combined into a whole unique configuration of 14.5' by 13.2' feet and it is proposed in a fabric upholstery. 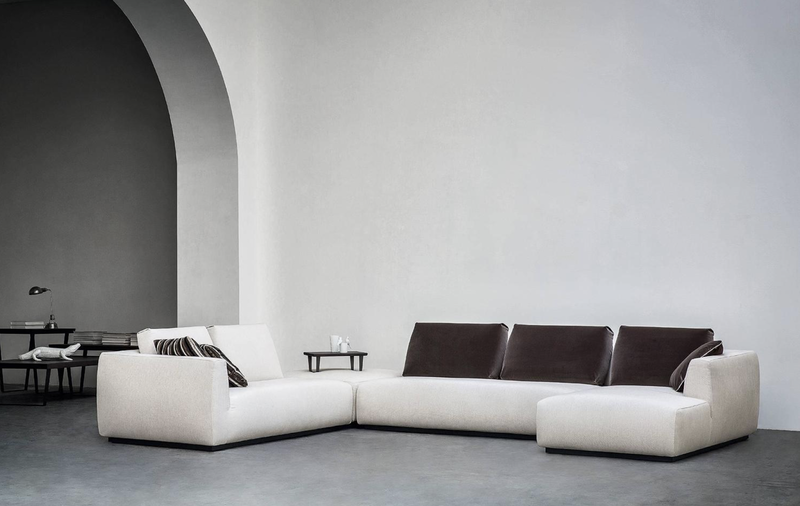 More information on our #Italian #designer #sofas can be found at http://www.momentoitalia.com/tutti%20file/living_sofa.htm Soft lines and very modern design. If you required personalized configurations, other materials or anything else please contact our offices and inquire with the sales team. This Italian Design furniture sectional sofa is made in Italy, custom-made to order in Italy. Imported from Italy. There is a lead time of 12/13 weeks approximately for East Coast, and 14/16 weeks approximately for West Coast. Made in Northern region of Milan, where all the best Italian manufacturers have their production facilities. The structure for this Italian Sofa is wood and polyurethane foam at different densities D25 and D21. It has a metal base finished white, anthracite or satin. Designitalia imports authentic #Italian #design #furniture and rare 20th century design pieces. Browse our modern selection of Italian furniture or mix and match our modern design pieces with our Mid-Century selected furniture for the ultimate luxury home, visit our website http://www.momentoitalia.com Please contact our offices for fabric selection and any other information you might need.